We are your long-term pest management solution. Use our contact form to tell us more about your pest control needs in the Greater Sacramento area. Here at Earthwise Pest Management, we have been serving Davis and the surrounding areas for years, and we are proud to be one of the most trusted names in pest control. We use a special method for our services called Integrated Pest Management (IPM). IPM involves finding the cause of the infestation and stopping pests in their tracks while limiting the use of chemical pesticides. Get in touch with our team today to find a solution for all of your pest control problems. When it comes to pest control, Davis residents should know that prevention is the ultimate method of pest management. If you simply kill off an infestation with traps, bait, or pesticides, you might solve the problem for a couple of weeks. However, before you know it, whatever attracted pests to your home or commercial building in the first place will have them coming right back. This creates a seemingly endless cycle of pest extermination and pest infestation. Thankfully, there’s a better way to handle pest problems. At Earthwise Pest Management, we use a method of pest control called Integrated Pest Management (IPM). IPM is a pest control and prevention method that offers a long-term solution to your pest problems. 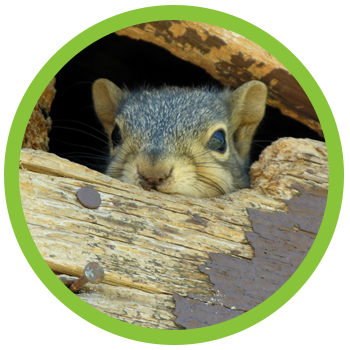 Keep reading below to learn about some ways we can help prevent pests on your property! What makes your home, office, or retail space pest-friendly? Pests like unsanitary conditions, so we check in areas near garbage cans, bathrooms, stored wood, or other places that might be dirty, dusty, or full of debris. How are pests getting into your home or building? Pests are experts at finding entry points into your property from loose caulking around windows and doors to cracks in the foundation or walls of your home. From the roof to the basement, our Davis pest control team finds vulnerable areas in your property so we can prevent pests from entering. Perhaps there is an area in or near your home that is a great breeding area for mice or maybe there is standing water that is attracting mosquitoes. Our team is highly trained on the behavior and habitats of all kinds of pests so we can identify what might be attracting them to your home. Davis is a big city with both urban commercial spaces and woodsy residential homes, and everything in between. Our job is to treat each pest problem uniquely based on the pests we are dealing with, the use of the building (residential, office, retail, restaurant, etc. ), and the surrounding locations. Learn more about some of our specific pest control services below. Commercial pest control isn’t something to take lightly. While pests in the home might be a nuisance, pests in a commercial building can ruin your reputation and send customers, employees, or tenants running. Pests can ruin inventory, cause health inspection failures, destroy electronics, and make your commercial space seem dirty. If you’re in need of commercial pest control in Davis, don’t hesitate to reach out to us. No home is entirely safe from a pest or two, but there are ways to handle and even prevent major infestations if you’re working with the right residential pest management company in Davis. Earthwise Pest Management is your Top Rated Local® pest control company servicing the Greater Sacramento area, and we’d be honored to help you get control over your pest problems. If you are in need of any of the following pest services or you need seasonal pest control to keep the critters out, give us a call. We offer both mouse and rat control in Davis, California. Small rodents love entering our homes and making nests where there is warmth, shelter, and food. If you see any signs of rodents such as droppings or chewed cables, get in touch with us before a few rodents become hundreds. Termites cause homeowners billions of dollars in damage every year and can make homes unsafe to live in. If you are in need of termite inspections or termite treatment in Davis, we can help. Whether you just moved into a new property and want to ensure there are no termites or you’ve noticed some signs of termites in your home, let us know and we’ll schedule a time to come out. Even the cleanest homes can attract bed bugs. Bed bugs can hitch a ride from a hotel room or you can even bring them home from the office or movie theatre. Once a bed bug infestation starts, it is nearly impossible to get rid of without professional bed bug treatment. We offer heat treatment for bed bugs which not only is the most effective way to get rid of them, but it also means we’re not spraying harmful chemicals where you sleep. If you’re experiencing a general pest problem, we can help. Common pests we see here in Davis include moths, ants, mosquitoes, spiders, silverfish, cockroaches, wasps, ticks, and millipedes, to name a few. If you are seeing numerous pests in your home, you could have an infestation. Make sure to call us for general pest control services in Davis, California. The problem that occurs when people choose to apply pesticides on your own, chances are you are not doing it correctly. This isn’t your fault, after all, you never claimed to be a pest management expert. On the other hand, as your Davis pest control team, we actually are experts in this field and this means we know how to do the job correctly every single time we do it. While we use the very best pest control products that pose the least amount of threat to you and your family, you need to realize that handling pesticides can be dangerous and therefore, we do not recommend that you do it yourself. Pests aren’t just annoying, they are unsanitary and can leave messes for you to clean up, making your home a less-than-desirable space in which people can spend their time. When you have a pest problem and you don’t call a pest control company to help you out, you are going to have to spend a lot of time and energy cleaning up pest-related messes. Whether it be dead bugs on your window sills or rodent droppings, we can be sure you don’t want anything to do with them if you are being honest. By hiring Earthwise, you will no longer have to worry about any of these things. Since using a pest control company in Davis ensures that fewer toxins are being used to remove pests from your home or business, you can have peace of mind knowing that your family, yourself, and your pets are safe after a pest treatment. And peace of mind means sleeping better at night, having less stress and having more time to focus on the things that are most important to you and those you love. When it comes to long-term pest control, Davis residents know that Earthwise Pest Management is the only option. With over 200 5-star reviews, you can count on us to get rid of pests on your property for good. Give us a call or fill out our contact form and let us know what we can do to help!